· How Do Smart Thermostats Work? One of the most popular smart home devices is the smart thermostat, and with good reason—after all, what's not to love about a device that exists to automatically make you comfortable and help you save money on energy costs? Take a look at how a smart thermostat works and what sets it apart from its manual counterparts. What is a smart thermostat and what does it do? With a traditional wall-mounted thermostat, you adjust the temperature in your home by pressing a button or turning a dial. A programmable thermostat is a little more advanced, allowing you to set the temperature to adjust at a certain time of day. 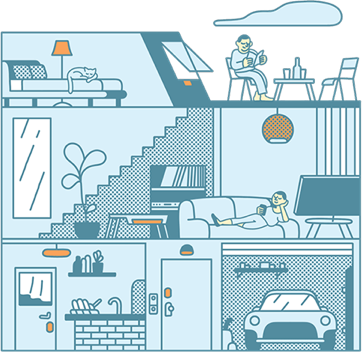 A smart thermostat, on the other hand, is "smart" for two main reasons. First and foremost, a smart thermostat is connected to the Internet. Secondly, it can be controlled from anywhere. From an app on your phone, you're able to monitor and control your home's temperature from anywhere in the world. 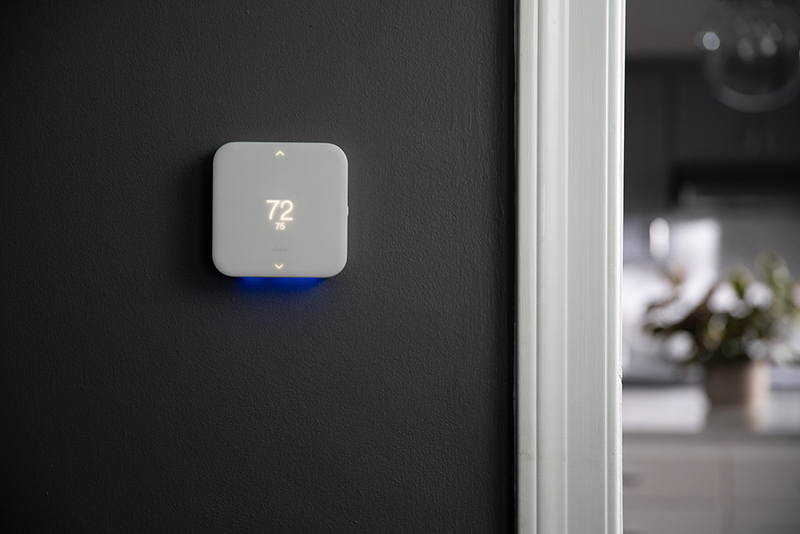 With a smart thermostat, have more control over your home's temperature than ever before. Let's start with the basics. A smart thermostat connects to your HVAC system like a traditional analog thermostat does, through a wired connection. 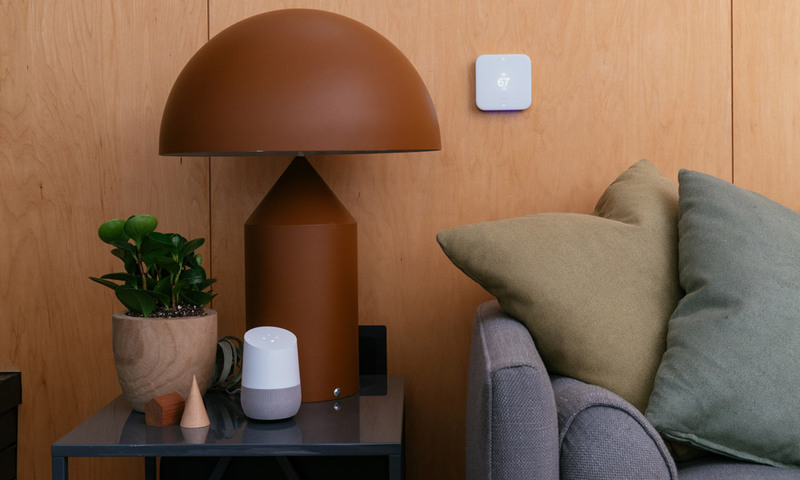 It also connects to your home's wireless Internet connection to allow for wireless and remote control. From the device interface. Like a traditional thermostat, you're able to control a smart thermostat from the main interface on the wall. Raise or lower the temperature, turn it on or off, and set schedules from the digital interface. From a smart phone app. The thing that sets a smart thermostat apart is the ability to control it remotely from a smartphone app. On your way home from work and want the house to be warm when you get there? Adjust the thermostat's temperature from your app. Left for vacation and forgot to turn off your thermostat? No problem. With the ability to change your temperature from your phone, you have greater control and convenience than ever. Control your home's temperature from anywhere with a smart thermostat mobile app. Do I need a smart thermostat in my home? Sure, a smart thermostat may be more high-tech than what you currently have in your home, but do you really need one? And is a smart thermostat worth it? With a smart thermostat, you're in complete control no matter where you are. Smart thermostats can be controlled remotely via an app on your smartphone, so you can always see what the temperature is at home and adjust it as needed. Smart thermostats also integrate with smart home systems, so you can adjust the temperature with your voice if you have a smart speaker. Imagine you're watching a movie and it's starting to get a little warm. Instead of getting up and adjusting the thermostat on the wall, just say, "Alexa, turn the thermostat down 2 degrees." Turn your thermostat up or down with the sound of your voice using your Amazon Echo or Google Home. While smart thermostats are incredibly convenient, the latest innovation is a smart learning thermostat, which utilizes artificial intelligence (AI) technology to learn preferences and patterns to automatically adjust the temperature. Instead of relying on you to adjust the temperature, a smart learning thermostat adjusts automatically based on your temperature preferences and occupancy patterns—when you come and go. So how does it know? Smart learning thermostats use geolocation, information about your local climate and household temperature, and in-home sensors (when integrated with a smart home system) to determine your preferences, and then adjust the temperature accordingly. What this means is you don't have to think about turning down the AC when you leave for work or adjusting your heater when a cold front rolls in. Your smart thermostat will do it all for you. With a smart learning thermostat, you can trust that your home will maintain a comfortable temperature, perfectly customized to your preferences. For the average American household, half of your overall utility costs go towards heating and cooling the home. A smart thermostat helps you save money by conserving energy. Running your heater or AC at full blast at all hours can send your energy bills skyrocketing. And it's often not necessary. If you're not at home for long stretches do you really need your home at a cozy 74 degrees in the winter or in the high 60s in the summer? A smart learning thermostat can automatically adjust the temperature when you're home to keep you comfortable, and raise the temperature in the summer or lower it in the winter to save money when you're away. Save money and energy with the help of a smart thermostat. The amount of money and energy you can save will vary depending on thermostat settings, the efficiency of your HVAC system, the season, where you live in the country, and the size of your home. According to the U.S. Department of Energy, you can save up to 10% a year by adjusting your thermostat 7-10 degrees from typical setting for 8 hours a day. Smart learning thermostats can make smart adjustments without you having to lift a finger. That's not just convenient, that's money back in your wallet. So you're sold on a smart thermostat. Now how do you choose the best one? There are lots of options out there and various levels of functionality. First, there are smart thermostats that connect to the Internet and can be controlled from anywhere. Then there are smart learning thermostats that layer on AI learning capabilities. You can find plenty of models online or at your local hardware store. Is the thermostat compatible with your HVAC system? Does it include all the features you want? Is the thermostat interface easy to understand and use? Is the smartphone app easy to navigate and control? Does the thermostat integrate with other smart home devices you own? Do you want the thermostat to make automatic adjustments or do you only need the ability for remote control? Your answers to these questions will help you narrow down the list of smart thermostats and find one that works for you. While there are plenty of smart thermostat options out there, you get the greatest value out of a smart thermostat when it is integrated into a smart home system. 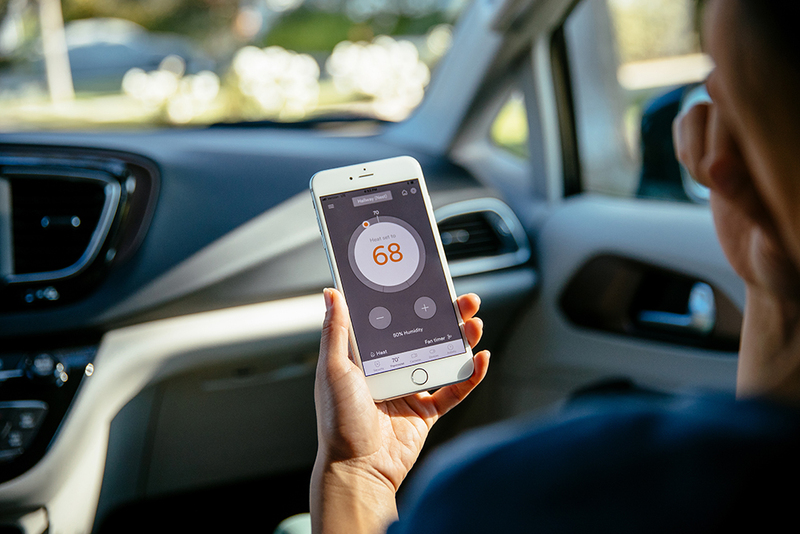 Introducing the Vivint Element Thermostat, a smart learning thermostat that integrates with the Vivint Smart Home system to save energy—which means money saved—without sacrificing comfort. A smart thermostat integrated with an comprehensive smart home system is your best option for convenience and control. 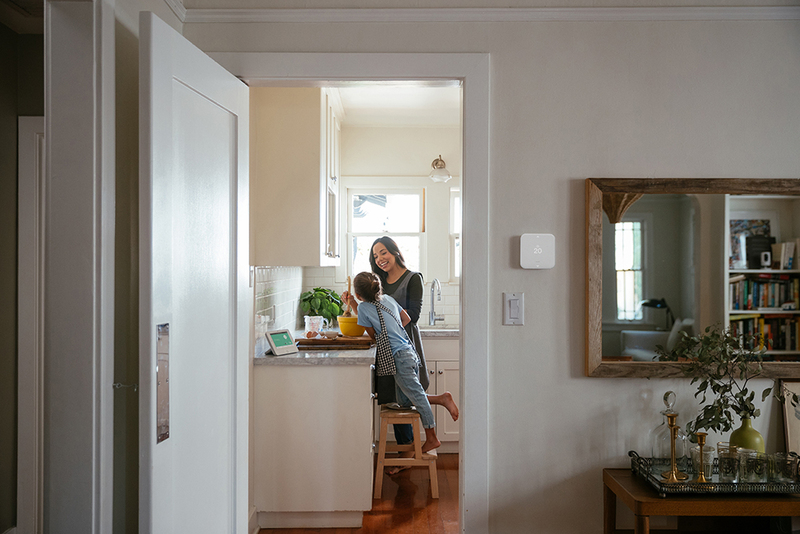 As part of a Vivint Smart Home system, the Element uses the security system and sensors to know when you’re home, asleep, away, or on vacation. Using that information, it automatically adjusts, keeping you comfortable when you’re home and conserving energy when you’re not. Raise or lower your temperature. Set your home to a specific mode, including home, sleep, away, or vacation. Change your thermostat from cooling to heating. Turn your system's fan on or off. Control a specific thermostat, whether that's the basement or upstairs. 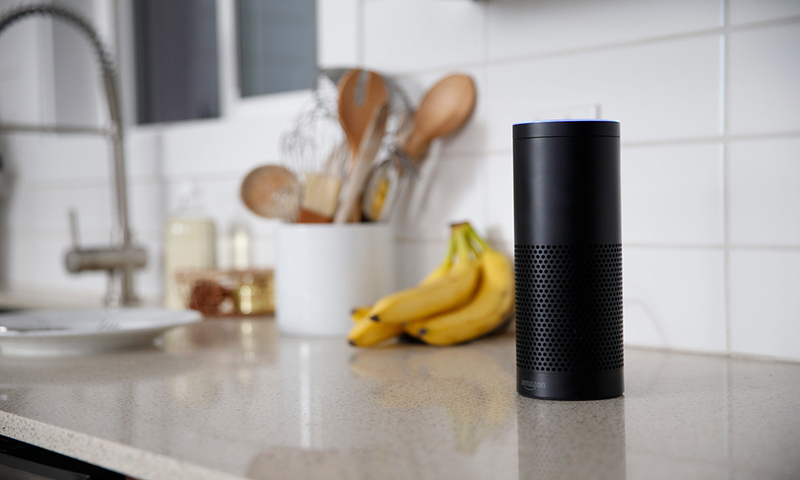 Tell Amazon Echo or Google Home to turn down the heat while you're baking in the kitchen. 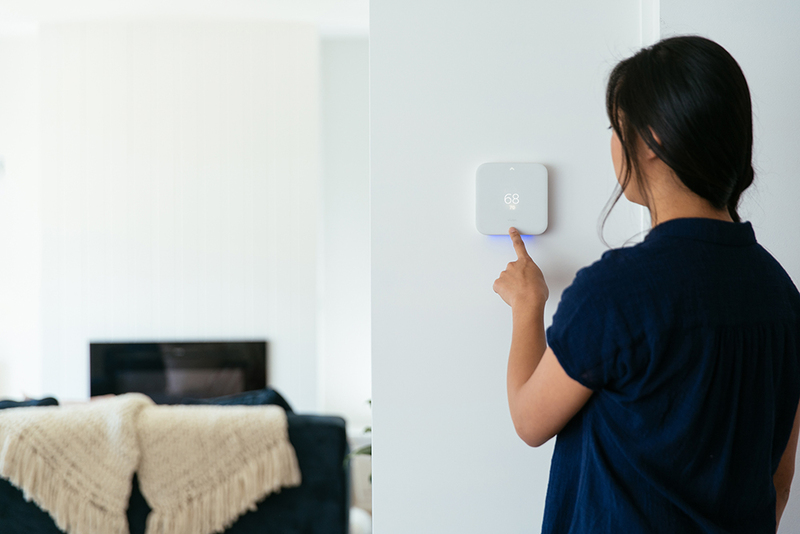 Adjust your thermostat (and your locks, security system, and lighting) all from the Vivint Smart Hub. Get mobile notifications when your Element thermostat self-adjusts. Limit the spread of smoke and flames during an emergency shutting off the HVAC system. An integrated smart home system takes the convenience and comfort of a smart thermostat to the next level. And it can save you money. 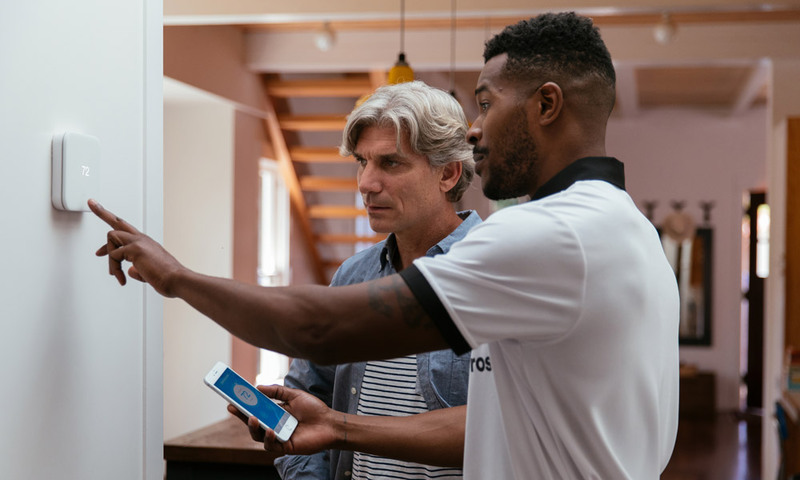 A Vivint-commissioned study by WattzOn found homeowners could save up to 12% on their energy bill when an Element thermostat is integrated into a Vivint Smart Home system. Look at the wiring configuration of your current thermostat and make sure your thermostat is compatible with your HVAC system. Use the wires to connect the thermostat to the HVAC. Connect your thermostat to your WiFi network. Download the associated smartphone app and sync it with your thermostat. Connect your thermostat to other smart devices you have in your home (dependent on compatibility). Depending on your home and the smart thermostat you choose, the installation process can be pretty simple and straightforward. But in many cases, it can quickly turn into a larger project. The best choice is to avoid the hassle all together and have your smart thermostat professionally installed. At Vivint, our smart home experts professionally install every system. This ensures your thermostat—and the rest of your smart home—are correctly installed and everything works together so you don't have to lift a finger. Your best option for installing your smart thermostat? Professional installation by one of our Smart Home Pros. 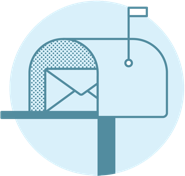 In addition to professional installation, our Smart Home Specialists are available by phone 24/7 to answer any questions you may have about your smart thermostat. As a stand-alone device, a smart thermostat is a valuable addition to your home. 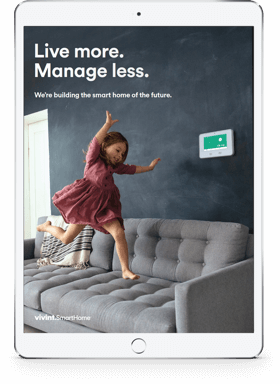 But pairing it with a comprehensive smart home system from Vivint will help you see what it's truly capable of—and make you wonder how you ever lived without it. See the difference a smart thermostat can make in your home. Contact us today at 800.646.1469 for a free quote on a smart home system.